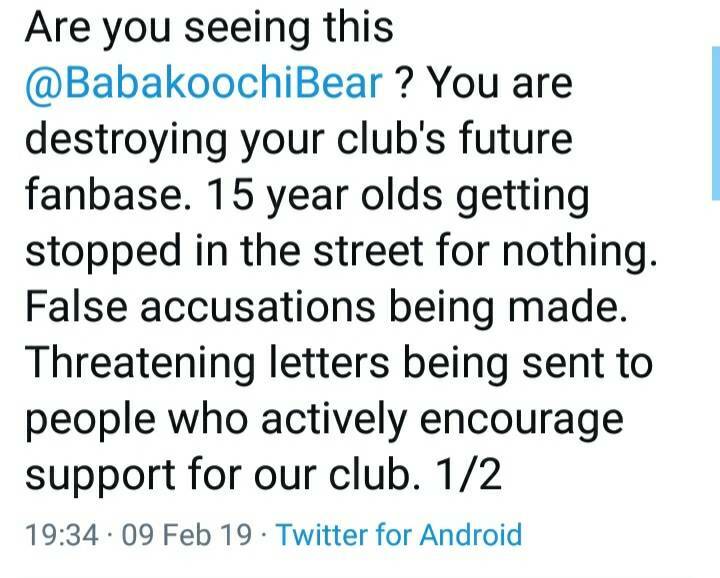 The club put a lot of emphasis on it being a "community club" but the way some supporters are being treated is simply disgraceful. Police & Stewards intimidating young supporters pre match, targeting specific fans & handing out bans like sweets. What is honestly going on behind the scenes at our club? We should be encouraging young fans to watch our games not push them away. 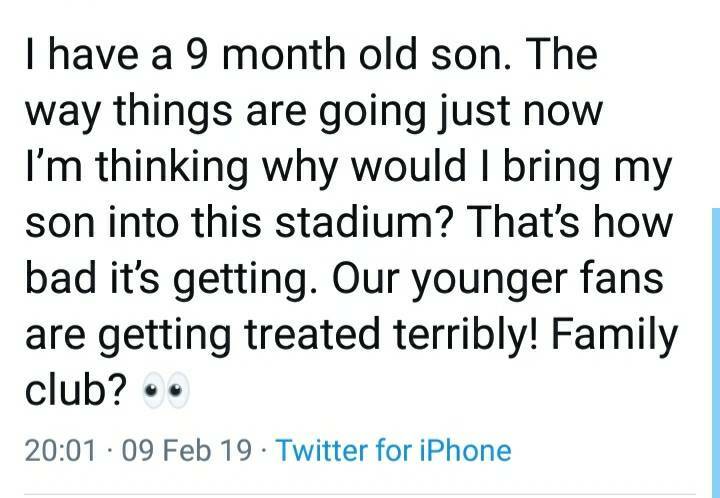 Fans who have been supporting the club all their life are contemplating whether to continue bringing their kids to the football if this is the sort of treatment they will recieve. I thought the forum was curiously quiet on this. I do know that the W7 guys have been unfairly targeted by the police over the last couple of weeks. 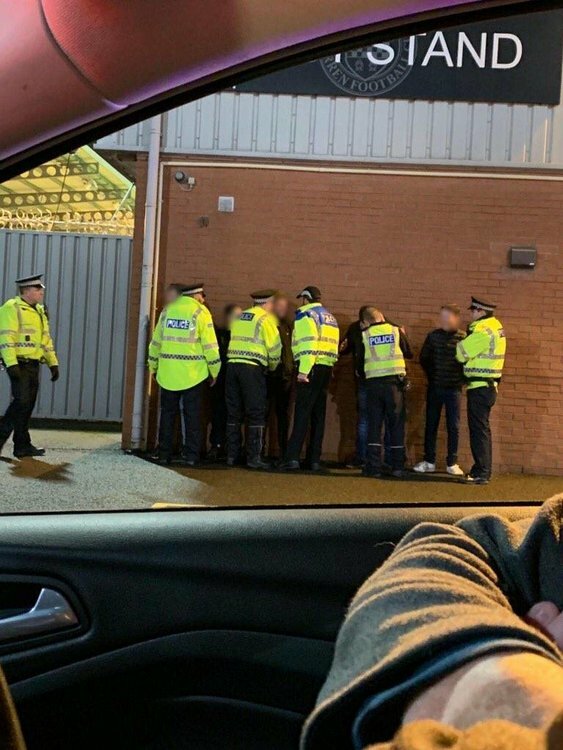 I beieve there was an incident at Motherwell away a few weeks ago that the police are investigating that has led to the W7 guys being targeted with details taken by the police. 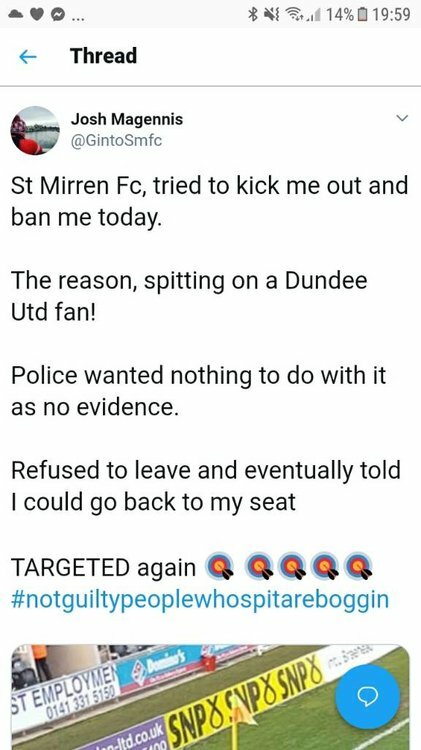 Having said that there have been some saints fans (not necessarily W7 guys) resides at 7am and arrested over incidents in Motherwell and Kilmarnock. This is all very unfortunate , the guys in W7 have been working hard on adding a bit of atmosphere in the stadium and have had a good rapport with the players. 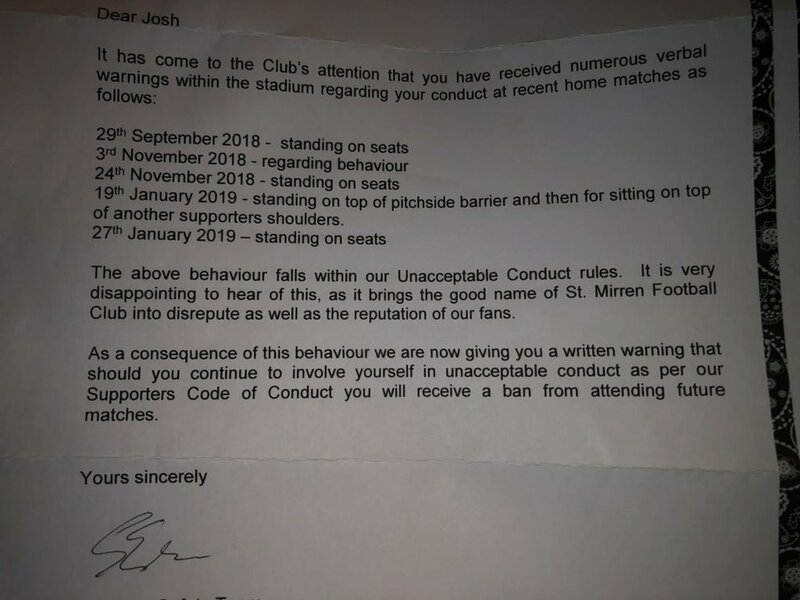 I don't know anything about bad conduct either at our ground or any ground so can't make comment on that ,just hope this doesn't spell the end of that section especially at a time when the team can really do with all our backing. This thread is going to be a mess, with the usual couple of self-righteous old wankers giving it the "why don't you follow the rules" shite. It has been obvious for a while the club has been doing their best to put an end to the group attempting to bring some atmosphere to the stadium. The over-policing of Scottish football is ridiculous. What incidents have we even had at the ground since it opened? As I said on another thread, the people running our club are quite happy to go and sit in the Ibrox boardroom toasting the queen while our fans get objects and spit showered on them, happy to hand over the stadium to Celtic and Sevco every time they come and let them do whatever they want, but not bothered in the slightest that they are driving fans of all generation away from the club. I’ve liked your post but I don’t think the club have been actively trying to put an end to it. I think there is an assumption by the police that W7 is a bad thing and this along with a few hangers on have changed the atmosphere. Things that the group were able to do last year are now clamped down on by police and stewards along with heavy handed policing can quite understandably lead to a feeling of persecution. Especially in the context of us bending over for the OF and the general sense on entitlement that their fans have, then top that off with the police view of get them in and out of the area as quickly and without any fuss leads to OF fans getting away with stuff that our fans and everyday citizens wouldn’t. Beggars belief that W7 are still trying to persuade us all that they are being victimised having been caught bullshitting twice. As for Josh, I hardly know where to begin. Absolutely no surise to see his name coming up yet again. At some point you really need to start acting like an adult bud. Just a bit of advice. They maybe daft boys but I think it is unfair trying to single out Josh. There are a few bad apples but he is far from the top of the pile. The stewards are under control of the club as far as I'm aware? I take your point on the actions of the police however not being something the club can control. As we have never pushed back against the over-policing of Scottish football though, this shouldn't come as a surprise. I’m not convinced the club have a huge influence on the details for the stewards. I imagine it will be a case of the club employ a company to steward games in line with the law/ regulations and the club won’t have a chance to influence the nuances of exactly how that is played out. I don't know of any particular supporter of the club but if your name keeps cropping up again and again and again in terms of conduct, it's maybe time to have a bit of a period of self-reflection. Even though it will be outsourced the club are in charge of safety & secturity and therefore the stewards at the ground. And they are certainly in control of letters sent out on their own letterhead. Great noise,great colour from W7. A little overboard in behaviour from time to time but little newsworthy. Comparison with the behaviour of away fans of the OF when visiting the stadium sound though that those in W7 wish to emulate their behaviour, rather than distinguish themselves by rising above it. 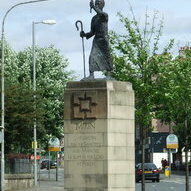 Let the stewards steward and let the police police. Nothing to be worried about if you are,as you say, doing nothing wrong. Then keep making the noise and keep waving the flags. But we allow 2 stands of away fans to do whatever the f'ck they want? You cant beat a bit of Mob Rule. Nobody condones some of the behaviours we see or hear from both of those you mention. But.. It's not a race to the bottom. Let's show others how a team should be supported, not mimic their behaviour. And number two didn't take long. Nice to know there's some things you can still rely on in life. What irritates me about your contributions here Rick is you always just throw about these empty platitudes without ever asking what any of the facts behind the issues are. You are accusing the St Mirren support of mimicking the behaviour of the terrorist supporting bigoted neds that follow the Glasgow teams. It's quite an accusation. 1. What do you mean by "A little overboard in behaviour from time". Please gives specific examples. 2. Are you a 90 year-old lady? As I really don't follow what this supposed behaviour is that you find unsavoury. I am not singling Josh out. He is doing that himself. Every time there is trouble you'll find this boys name at the heart of it. And once again he's pleading victimisation and we're all expected to swallow it without question. Just like Kemp does for example. Probably a case of getting some of the North Bank together with the club, and perhaps one or two of the older supporters as mediators. There is a solution there that will work for both parties, it’s not difficult. Could you imagine if we had these old ladies like Oaksoft and Ricky clucking about and getting involved in the old days of the real Northbank? Or how many of us would have stuck with following St Mirren in our youth if we had a steward following us about telling us not to swear? Or got a letter for climbing on someone's shoulders? Behave yourself and the police will leave you alone. It's hardly rocket science but apparently a handful in our crowd simply can't handle any authority figures in their lives whatsoever. The W7 boys have been caught lying several times before and yet every time they whimper about discrimination you are away beating the drum for them. Are you related to one of them? The bit that’s got me this week is the fact we don’t give free tickets to the kids involved at the Street Stuff. the potential future supporters of our club, yet we can’t give 50 - 100 free tickets to them on a weekly basis? I had high hopes for SMISA and the SLO in terms of driving engagement, but we’ve went backwards again. Prawn sandwich thieves. And whatever happened to the Fans Council? They were a wee bit pompous in their day too. edit: the above were also involved in the design of a shite kit, fully believing they were the voice of the fans. 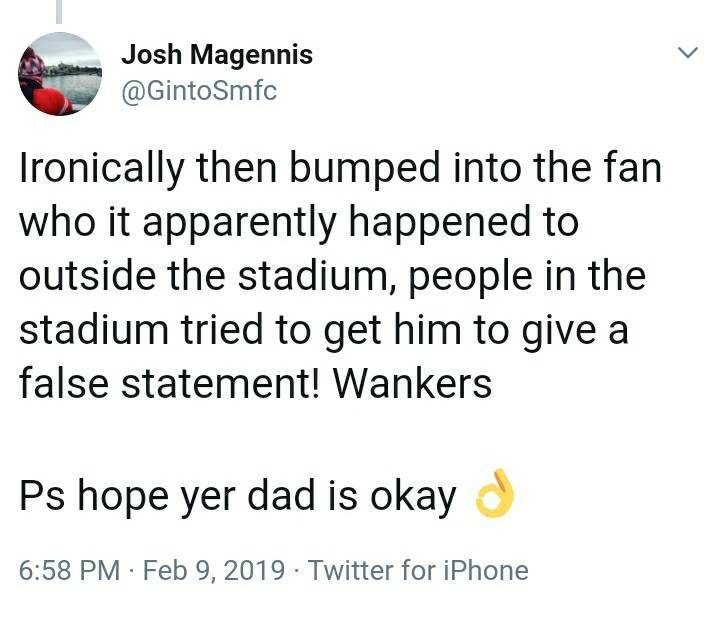 Wasn’t there yesterday but from what I’ve been told - the police/stewards were trying to get Dundee United fans to falsely say he spat on someone, even though he hadn’t. It might sound like a mad conspiracy theory but someone somewhere really has it in for this particular person/group. And want this whole thing stopped. I don’t know why, it helps the club. They use the displays in club social media posts. The fan march and displays have done more to promote the club to young people in Renfrewshire than any of the clubs youth schemes ever have. It’s all very very weird. Very weird, seems the club are only really interested in members of the 1877 club. Wonder why?